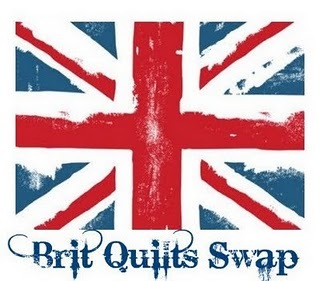 A few weeks ago I signed up to a Brit Quilt Swap, where we make a small quilt (no bigger than 24″ square) for an assigned swap partner. What makes this really fun is you don’t get to find out who is making for you, until you receive it in the post (early July)! Uber Mama is Lynne from Lily’s Quilts, and with her efficient team of Mamas, they have spectacularly organised a large group of us with like minded swap partners. Last night, at 8.26pm exactly I received THAT email, the one telling me who I am to make this mini quilt for! How exciting – I was fit to burst! So after stalking my swap partner on Flickr to get an idea of her likes and dislikes, I had so many ideas whizzing through my head that I dreamt all night about it!!! At least I have some time to plan a design. The rules are – I’m allowed to blog about what I’m making, but not who I’m making it for (well I could, but then I’d have to kill you!). 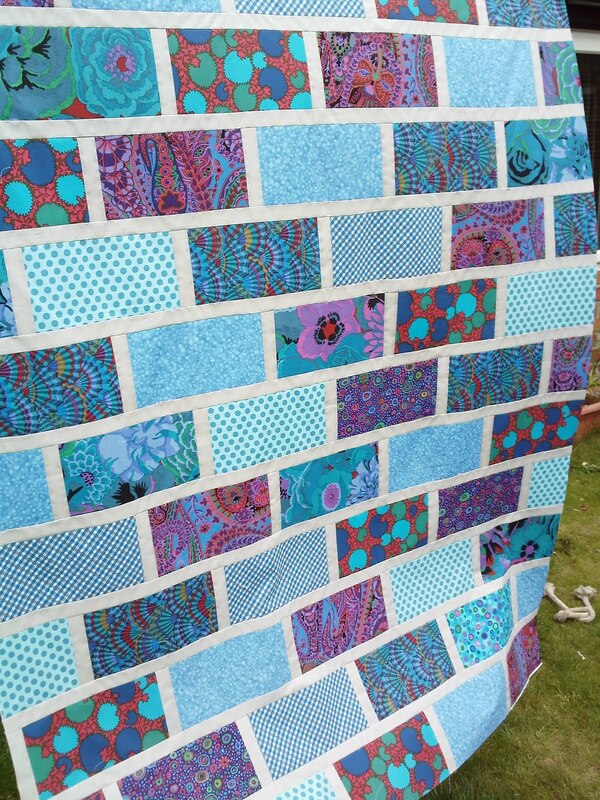 In the meantime I’ve plenty to keep me busy with my nephew’s birthday Colour Brick quilt. Kona Ash sashing is on. Really pleased with how it’s looking so far. I’m waiting on more wadding to arrive, so hopefully I’ll get cracking with the quilting later this week. For now I need to make the back with the leftover Ash & Kaffe fabrics. Previous Previous post: Anyone want a handmade pressie?